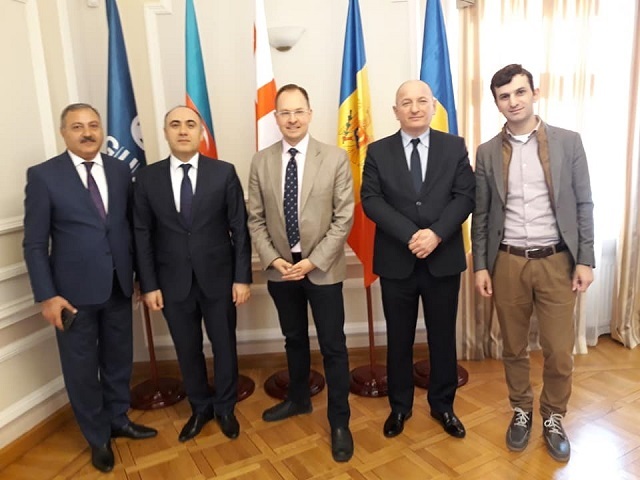 On December 6, 2018, the Ministers of Foreign Affairs of the Republic of Azerbaijan, Georgia, the Republic of Moldova and Ukraine met with the Minister of Foreign Affairs of Canada on the occasion of the Meeting of GUAM Council of Ministers of Foreign Affairs in Milan, Italy. The Sides exchanged opinions on a wide range of issues of international agenda pertaining to the maintenance of peace and stability on the Continent. 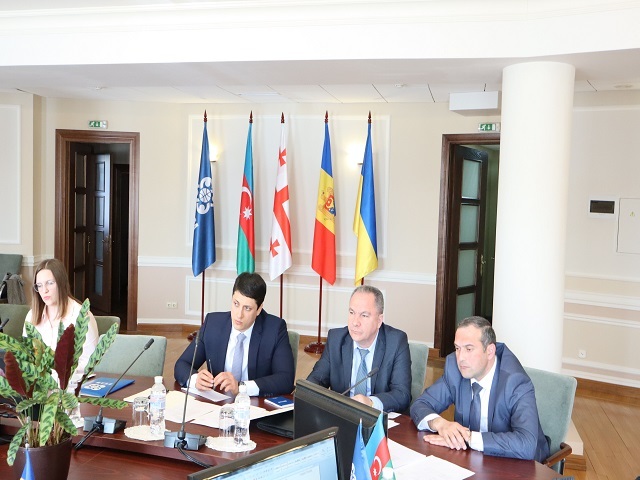 The Sides underlined the positive role played by GUAM as an important regional stakeholder in the Caspian – Black Sea Region, bridging Europe and Asia. 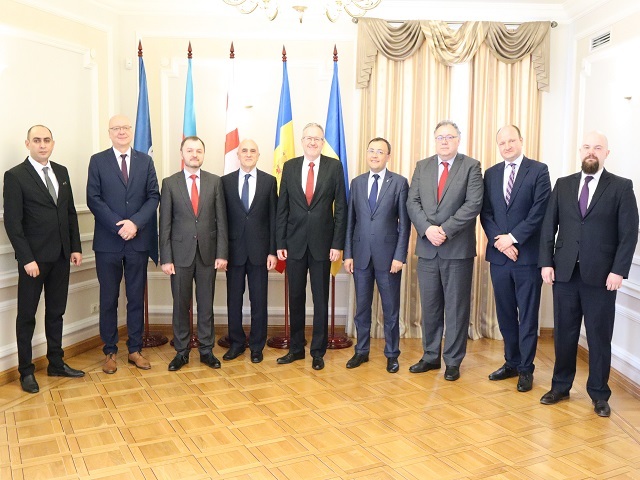 They expressed common concern over the grave security and humanitarian consequences of the unresolved conflicts in Europe. 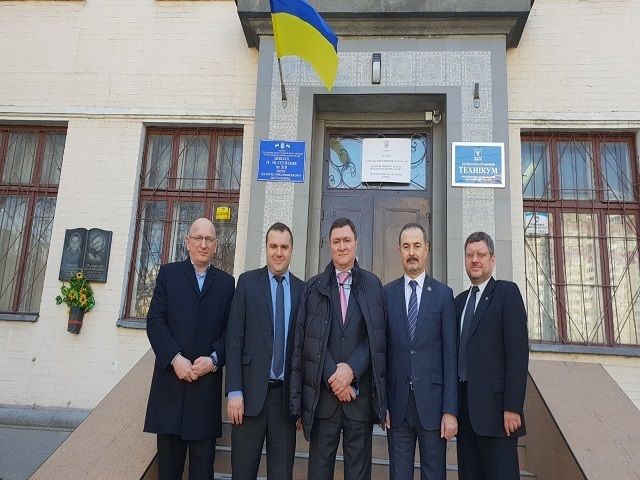 The Sides also expressed concern over the grave incident in the Azov Sea and called for immediate release of Ukrainian sailors and ships. Canada hailed the ongoing program activities in the fields of economy, infrastructure and security under implementation in the frame of GUAM. 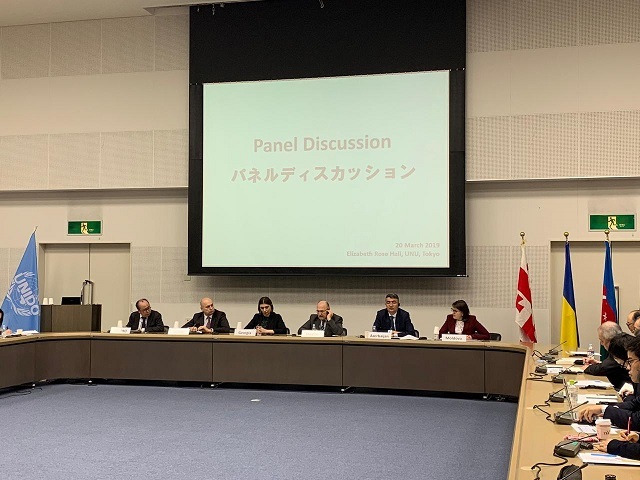 The Sides spoke of the possibility of initiating a GUAM-Canada cooperation program, facilitating transformation of the region into a zone of peace, stability and sustainable development. In this context, the Sides shared views on the opportunities of cooperation in the fields of mutual interest, including GUAM transport corridor, trade and investment and creation of free trade zone. Ministers underscored the importance of consolidated international efforts with the aim to achieve the soonest peaceful settlement of the conflicts in the GUAM area based on the fundamental norms and principles of international law, in particular, with respect for sovereignty, territorial integrity of the GUAM Member States, the UN Charter, UN Security Council and General Assembly Resolutions and Helsinki Final Act was emphasized. As the outcome of the meeting, Canada and the GUAM Ministers have adopted the GUAM-Canada Joint Press Release. The time and venue of the next GUAM-Canada meeting will be decided through diplomatic channels.